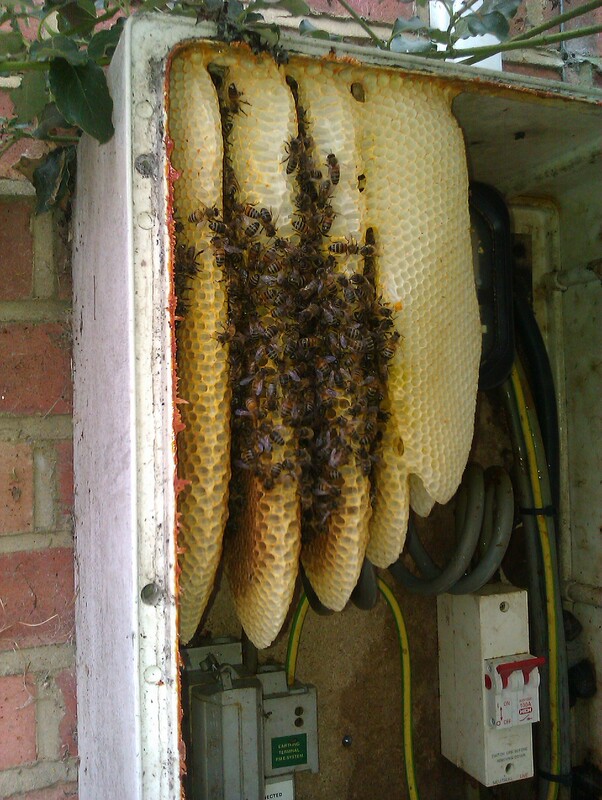 Over the weekend we took a call from a person who during the summer had a swarm take up residence in his electricity meter box. The electricity company owed him some money so he needed to take a reading but as you can see the meter was covered in comb. Although late in the season we removed the colony, housed it in make shift frames in a Nuc box and currently it is located next to another nucleus so that once established on proper frames the two colonies will be united before winter sets in. The size of the colony is much smaller than the amount of comb indicates it should be, the assumption is that the swarm had swarmed again once it became too big for the box, leaving this small but friendly colony. 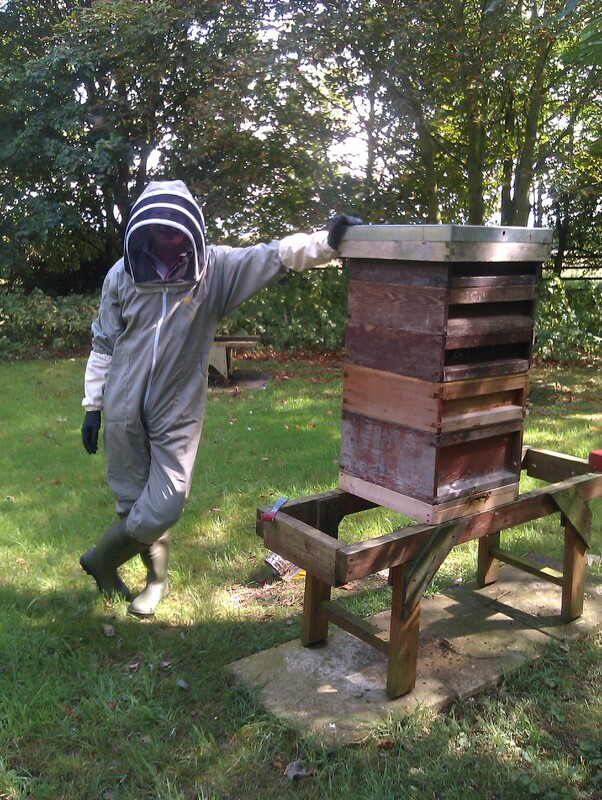 The attached photo shows a hive stacked too high for a normal beekeepers back. The top super weighed in at over 40 lb, was propolised and brace combed to the super below, so working at eye level was hard enough for a pair of beekeepers. At the Association apiary our stands are at a variety of heights so as to give new beekeepers different experiences as part of their own apiary planning, however the rule of thumb is that the height of the stand should be such that the top of the brood box is at knuckle height. If we had followed this rule for this hive life would have been easier! You are currently browsing the Mid Bucks Beekeepers Association Blog blog archives for August, 2011.